Proteins are among the most critical building blocks of life. Virtually all processes taking place in a living cell are controlled, regulated, and executed by proteins. Biological roles and activities of proteins are extremely diverse, ranging from recognition, to binding, to catalysis, to various structural roles, to entropic functions, and to mechanical activities. In their functional endeavor, proteins can act alone or in complexes with other proteins, peptides, nucleic acids, membranes, various small molecules, and ions. Structurally too, proteins are very divergent and can be broadly classified as globular, membrane, fibrous, intrinsically disordered, and various hybrids of these four major groups. There is typically a great agreement between how protein looks like and what it can do. In other words, shapes, properties, and structures of proteins are tuned by evolution to be optimal for specific functions executed under specific conditions. On the other hand, mutations, dysfunction and mis regulation of proteins are commonly associated with the pathogenesis of various diseases. For more than a century, proteins continue to be a fascinating subject of intensive scientific research. Numerous experimental and computational approaches are developed over the years for structural and functional characterization of these important biological molecules. Not surprisingly, protein-related literature is vast. In fact, in PubMed, there are more than 5,327,000 entries containing term “protein”. Research articles and reviews about various protein-related aspects are regularly published in general and specialized journals. Furthermore, hundreds of books and dozens of book series are dedicated to various aspects of protein research. With so many important topics to cover, there is a constant need for new books that traditionally represent a way of systematizing the existing knowledge. The book edited by Prof. Ben Dunn features papers from a number of authors of manuscript originally published in Current Protein and Peptide Science. Papers for this volume were selected based on the number of citations that the original articles received. The papers were thoroughly updated with new information and references that have appeared since the date of original publication. 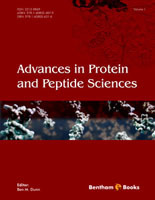 This approach generated a unique slice through modern protein science, and the resulting volume covers a broad variety of topics ranging from focused look at membrane proteins, to systematic analysis of the roles of protein degradation in various diseases, to consideration of novel computational and theoretical approaches for protein analysis with some focus on intrinsically disordered proteins, to implication of proteins and pathogenesis of various diseases, to protein implementations in biotechnology. The volume would be particularly useful to basic investigators, applied scientists and clinicians interested in the latest advances in this exciting field. Progress in understanding the chemistry, biochemistry, and biological function of proteins and peptides continues to accelerate driven by many scientists utilizing new tools. This book collects together 19 contributions from authors around the world who are making seminal discoveries in this field. The authors have all written for Current Protein and Peptide Science, a Bentham Science publication featuring only review papers. Based on citation data over several years, the authors whose papers received the highest number of citations (typically over 100) were asked to submit revised and updated versions of their work. The papers in this eBook are the result of that effort. All were extensively edited to ensure optimal quality. The book is divided into four sections to highlight current research in these areas: Membrane Proteins, Protein Lifetimes and Disease; Computational Methods; and Proteins in Disease and Biotechnology. Future editions of this eBook will highlight other emerging developments in the field of protein and peptide chemistry and biology. Section I on Membrane Proteins contains four papers: the first, from Martinez and colleagues, considers different thermodynamic states of proteins to account for how a normally water-soluble protein can be membrane-associated. The second manuscript from Galdiero and associates describes in detail the ß-barrel proteins that interact with the outer membrane of gram-negative bacteria and their interactions with lipids. Guangshun Wang discusses the use of NMR to characterize membrane proteins that cannot be crystallized by normal methods, thus extending the scope of structural studies of membrane proteins. Banerjee and Johnson describe in the fourth paper of this section the complicated process by which non-enveloped viruses gain entry into host cells, again involving interactions with cellular membranes. Section 2 of the book contains three papers dealing with degradation in the proteosome. In the first, Belizario and colleagues describe the process of protein degradation that targets the PEST sequences; i.e., amino acid sequences rich in Proline, Glutamic Acid, Aspartic Acid, Serine or Threonine. In the next paper, Baek considers the ubiquitin-mediated protein degradation process and focuses on the de-ubiquinating enzymes as important control elements in the overall process. Dou and associates describe a variety of inhibitors of proteosomal degradation in an effort to find compounds that will affect cancer cells more than normal human cells. Section 3 of the book presents five papers that all deal with reviews of computational methods for the analysis of the properties of proteins. These useful contributions begin with a paper from Giuliani and colleagues describing the use of Graph Theory to deal with the growing appreciation of networks of protein interactions. The second contribution examines protein in non-aqueous and semi-aqueous environments and shows the utility of molecular dynamics analyses in these studies. Next, Meirovitch presents a discussion of the calculation of free energy and entropy of proteins with attention to the various sub-states of conformation that proteins experience. Sonia Longhi and colleagues describe the importance of intrinsic protein disorder and discuss methods to predict regions that will display this behavior. In the final paper of this section, Maria Miller continues the discussion of intrinsic flexibility of proteins and focuses on the important area of transcription factors that must bind to regions of DNA. Section 4 of the book considers proteins in disease states and in biotechnology. This section begins with a paper from Ceciliani and associates on ?1-Acid Glycoprotein and its changes during altered health in humans, particularly with respect to glycosylation. The epithelial type 1 transmembrane mucin MUC1 and its glycosylation states are described by Hanisch in the next contribution. Franco and colleagues describe progress in solving problems associated with identification of proteins from plants that might play a role in host defense against invading organisms in the following paper. The important protein myelin and its association with membranes, other proteins, and its role in the pathogensis of multiple sclerosis are covered in the contribution from Harauz and colleagues. Hemoglobin has provided much insight into protein structure and function and Bellelli and associates describe the allosteric properties of this molecule based on natural and site-directed mutagenesis. Agnati and colleagues describe the important roles of a number of proteins for central nervous system function in both normal and pathological states. Finally, Khan and his colleagues discuss the use of lectins for many applications in biotechnology. It was a pleasure to work with all the authors of these papers to bring this eBook together and I look forward to future opportunities to develop new editions/volumes of this work.